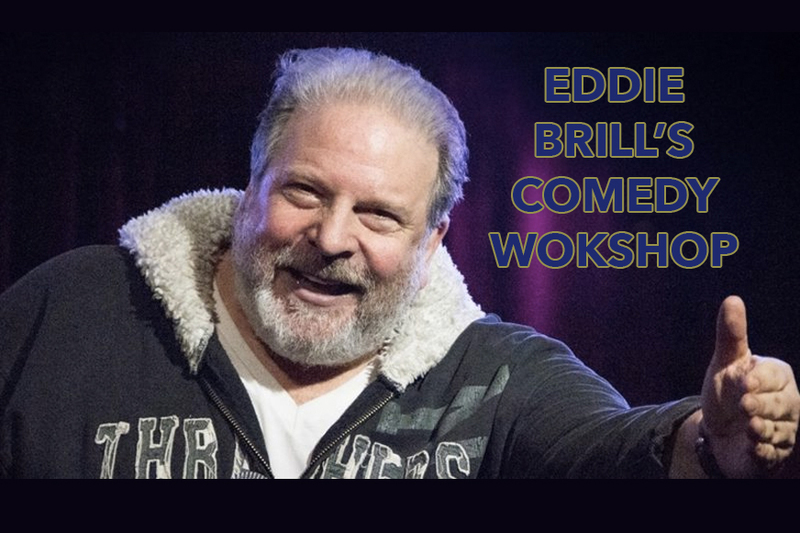 "We often learn more from teaching than doing....."
A highly respected comedy workshop created and presented by Eddie Brill - former Talent Coordinator for the "Late Show with David Letterman" and the Woodstock Comedy Festivals. He has been running this one-of-a-kind workshop around the world since 1998. Eddie will instruct you in the key elements towards gaining the insight and understanding necessary in developing and retooling your show, from a live stage performance to a smart and hilarious television experience. Each workshop participants receives individual coaching on the spot from Eddie, as well as from fellow classmates; allowing for a unique student-teacher perspective in the process of building a firm foundation for you to easily understand how to truly be yourself onstage. To achieve maximum focus with each member of his workshop, Eddie allows only a handful of participants in each approx. 6-7 session: so we suggest you act expeditiously, if you wish to take advantage of this unique opportunity. It will be an experience you'll never forget!